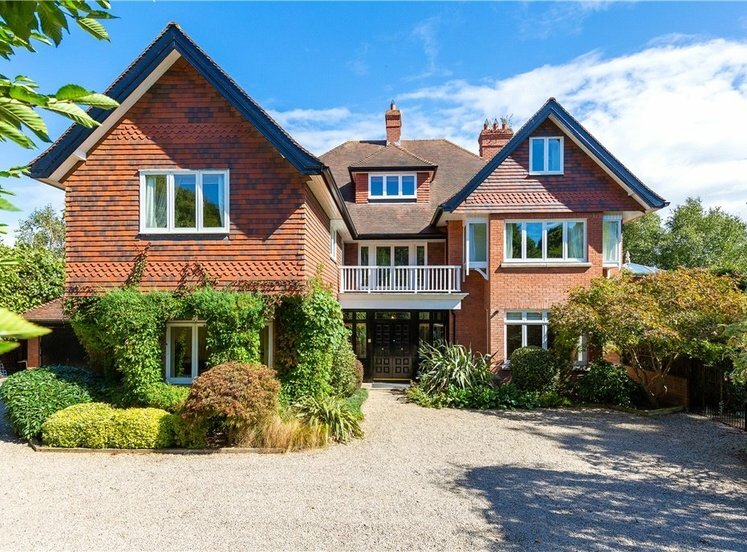 Seldom do such impressive properties come to the market. 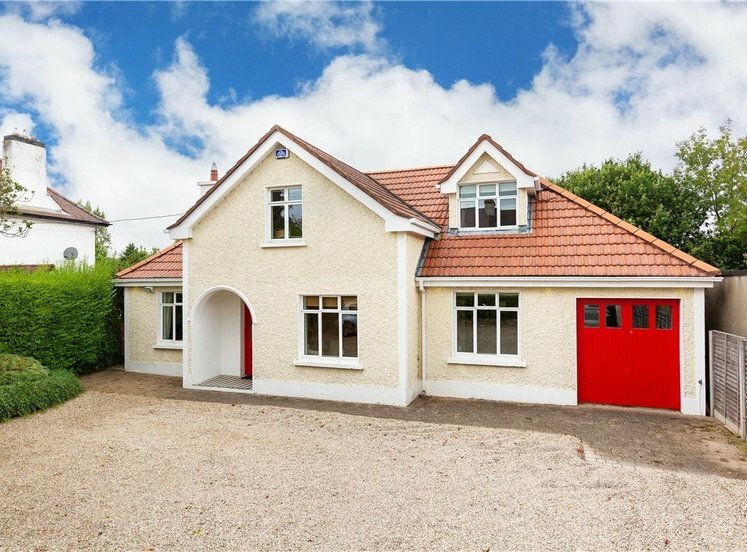 123 Goatstown Road is such a property. 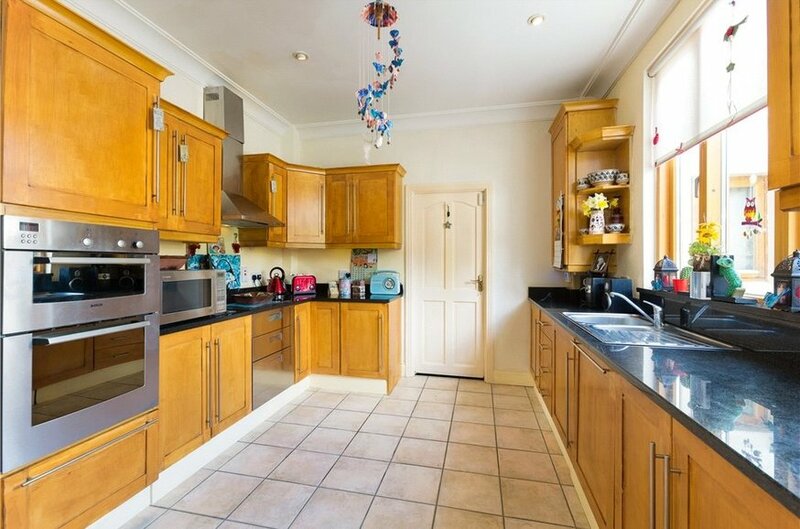 This private four bedroom detached family home is full of charm. 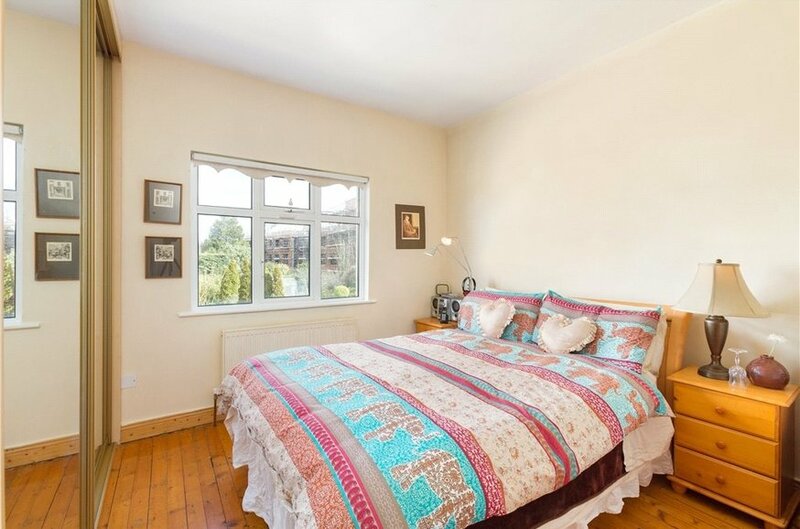 This fantastic residence has contemporary bespoke furnishings and an exceptional eye to detail; offering beautiful, bright and airy accommodation extending to approximately 125 sq. m. (1345 sq. ft.). The garden to the front is approached via two vehicular entrances, one leading to the garage and the other to the vehicular access to the side of the house. 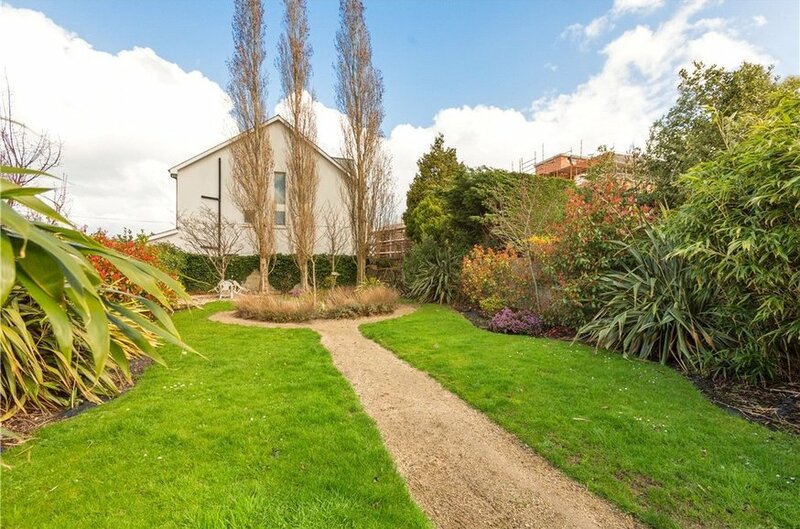 It is predominantly set out with a central lawn area with mature hedgerow and trees. On the ground floor there is a large bright entrance hall. It allows the natural light to flow through. The living room with feature marble surround and cast iron inset with open fire. The kitchen and lounge area to the rear allow for relaxation with family. This then leads to a magnificent rear garden which measures approx. 38m (125ft). At the first floor there are four well-appointed bedrooms (master-ensuite) and a family bathroom and there is also an attic space. 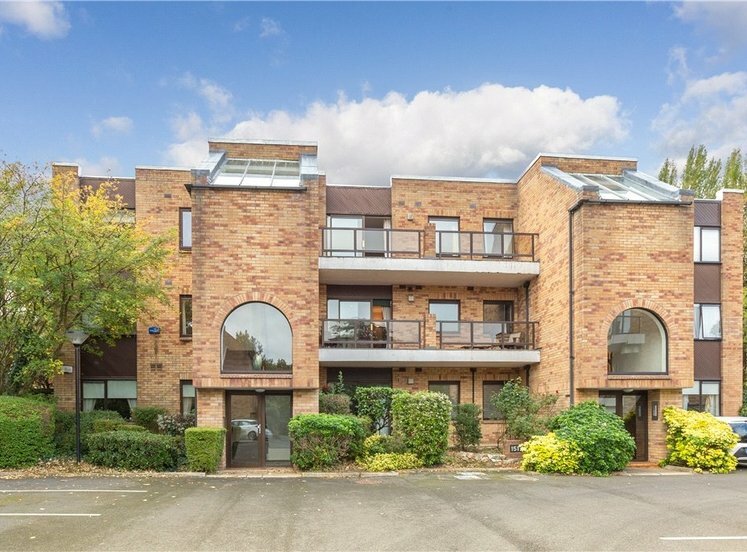 The property occupies a prime position, located just off Mount Anville Road with easy access to local shops, restaurants, cafes, transport links, UCD, Dundrum Town Centre and Dublin City Centre. 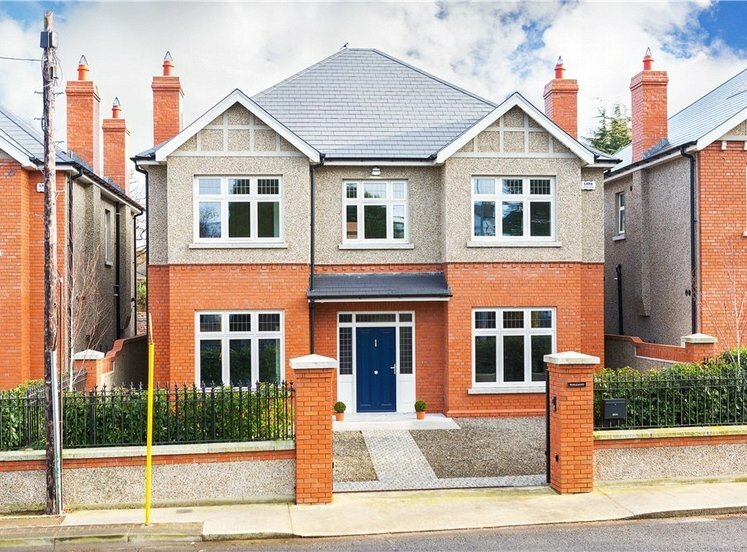 The villages of Donnybrook and Ranelagh are just a short distance away as is the N11 and M50, allowing easy travel to the city centre and beyond and the regular bus services and the local LUAS station. Theresa’s Mount Merrion, St Killians, Our Lady’s Grove, as well as Mount Anville Girls’ School. Blackrock College, St. Andrew’s College, Willow Park and Sion Hill are also within easy access. 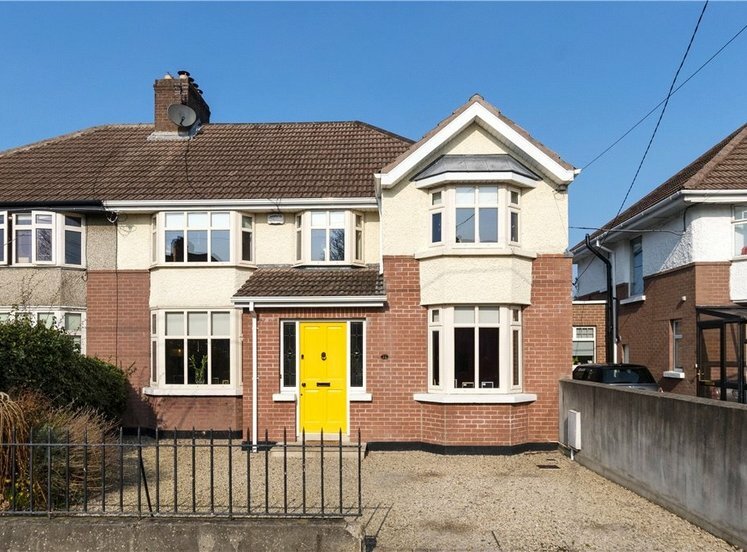 As well as this, Goatstown Road’s close proximity to Dundrum LUAS Station means that third-level institutions, including Trinity College Dublin and DIT, are minutes away. There are excellent leisure facilities in the area, with golf, sailing, tennis and rugby clubs all close by. 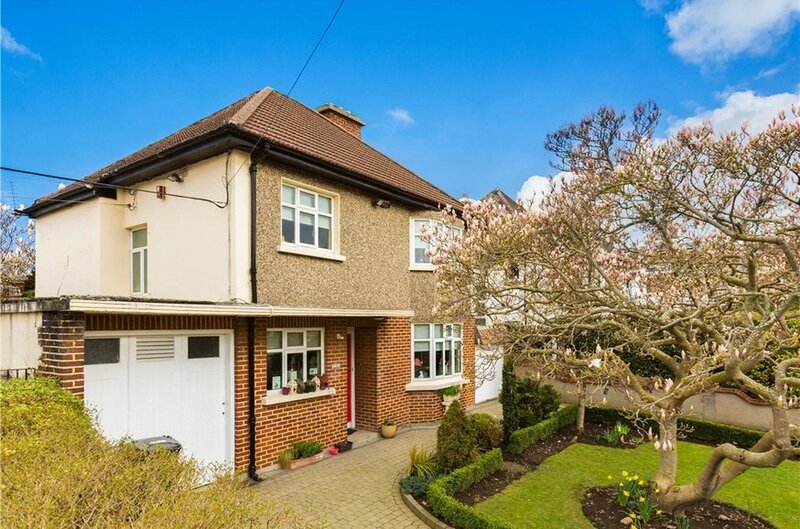 A landmark family home in a much sought-after South Dublin address, early viewing is strongly advised. 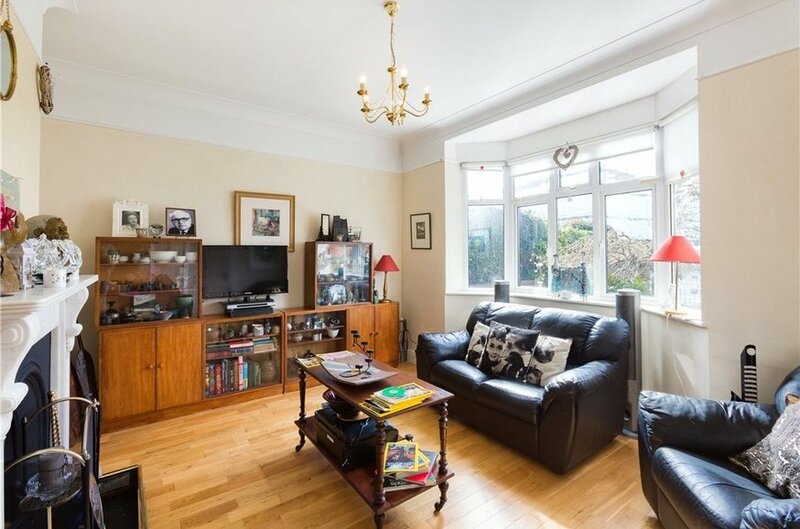 with hard wood floor, attractive bay window overlooking garden to front and beautiful cast iron fireplace with ornate white marble surround and slate tiled hearth. 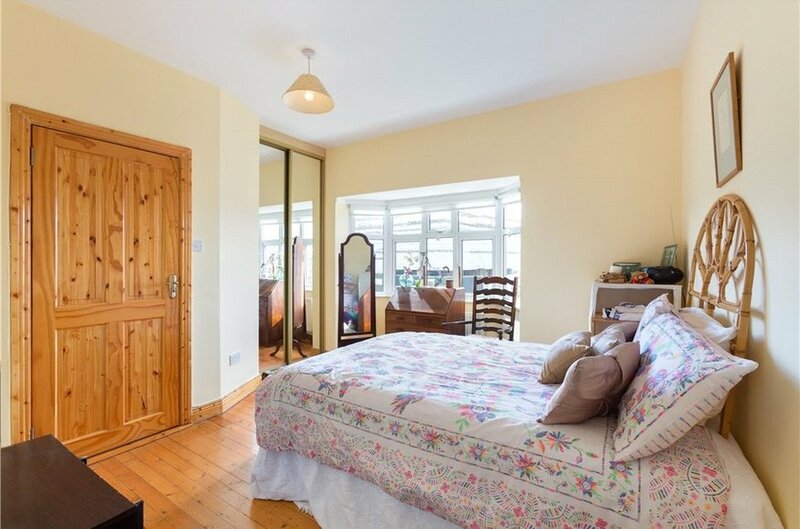 with large picture window overlooking garden to rear. 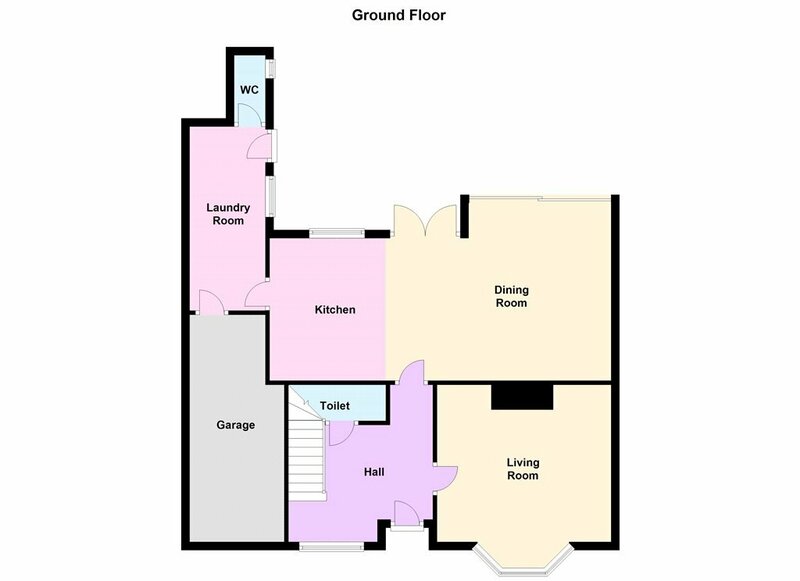 with w.c. and tiled floor. with w.c., w.h.b., Mira Elite electric shower, tiled floor and walls. with w.c., w.h.b., bath, separate shower with Mira Elite electric shower, tiled floor and walls. The garden to the front is approached via two vehicular entrances, one leading to the garage and the other to the vehicular access to the side of the house. The garden to the front is predominantly set out with a central lawn area with mature hedgerow and trees. The rear garden is a most important feature and extends to 125ft (38 m) in length. The rear garden has an extensive paved patio area with lawn garden, mature trees and hedgerow and is abundantly stocked with numerous shrubs, plants and vegetation. Two concrete built storage sheds. 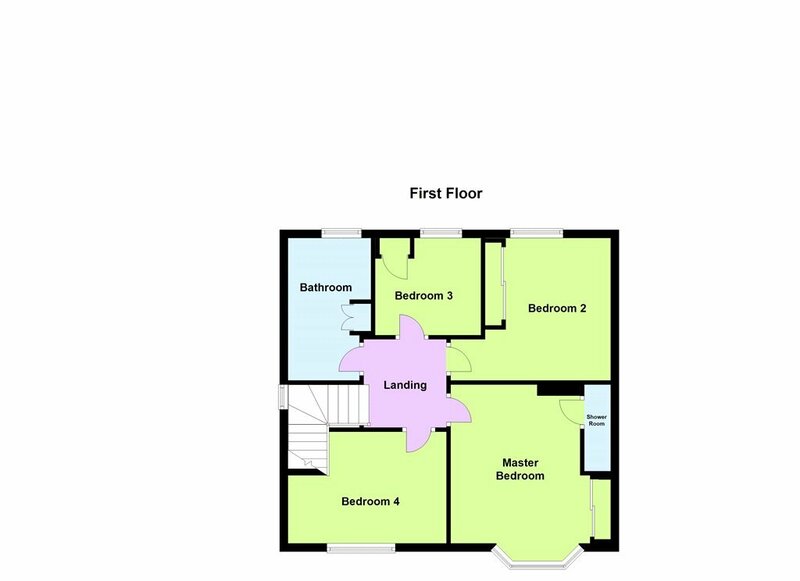 Garage: 5.10m x 2.50m (16'9" x 8'2") with bio-folding doors leading to the front and pedestrian entrance to utility room.